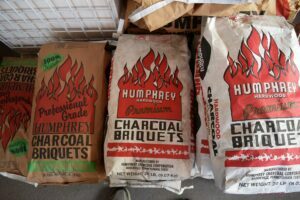 We carry Humphrey's Premium charcoal products in both lump and briquettes. Need pellets? 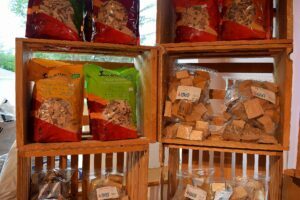 We stock the Louisiana pellets: Cherry, Mesquite, Hickory, Apple, Whiskey Barrel, and their Competition Blend. 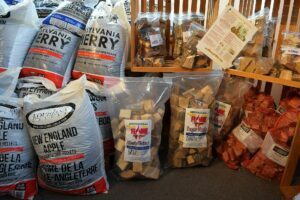 We have numerous flavors of smoke wood in chips and chunks. New to smoking and unsure where to start?--try Sugar Maple! Splits and Mini-splits can be special ordered.